This loss was a residential fire. The bathroom was stripped down to the studs during the mitigation phase. The affected shower was determined to be a high-grade tile shower, with a ½” frameless glass door and partition. This loss was especially interesting due to the features that were incorporated into the shower itself (e.g., bench seat, 3 niches etc.). 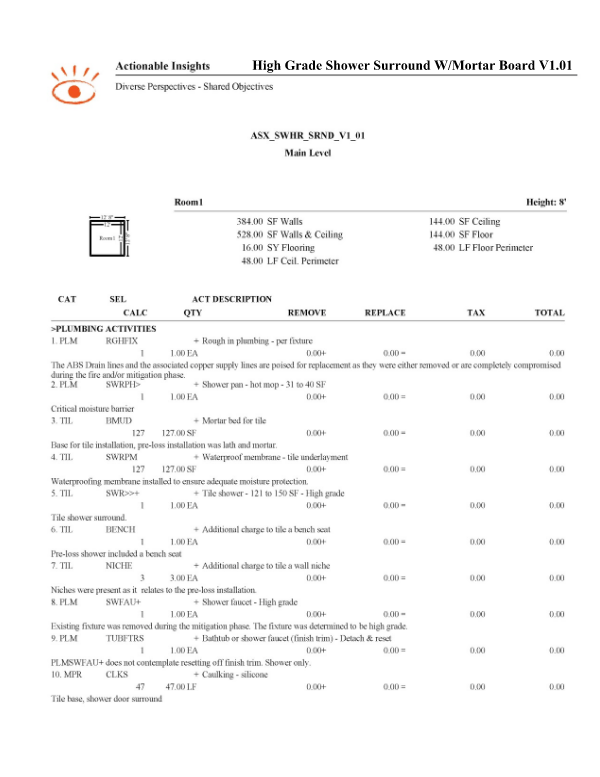 This Insight Sheet(C) exists to clarify how one might invoice for a tile shower surround. This does not seek to include or make concessions for all equipment and/or activities as it relates to a loss of this nature. "existing fixture removed during mitigation phase" I have a claim like this right now and adjuster is saying all plum fixture should be salvaged from previous shower , vanity etc.. what is the justification for replacement ? I would explain that, due to the passage of time, the fixtures will not stand up to a reset and thus require replacement under the guise of consequential damages. This is very helpful, it could use adding tiling the curb and the jambs. 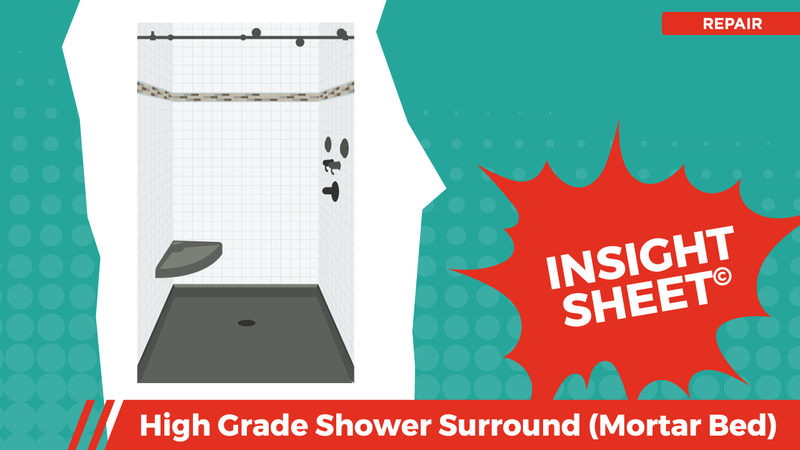 This high grade shower surround is solid. I can’t wait until you guys knock one out with cement board. Do you have to hot mop the bench and the niche?